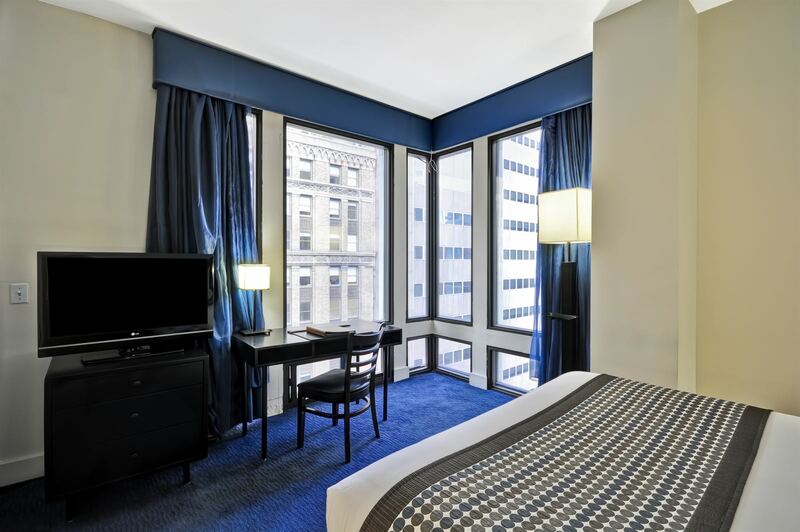 Spend your getaway in the city enjoying our hotel rooms in Midtown Manhattan. 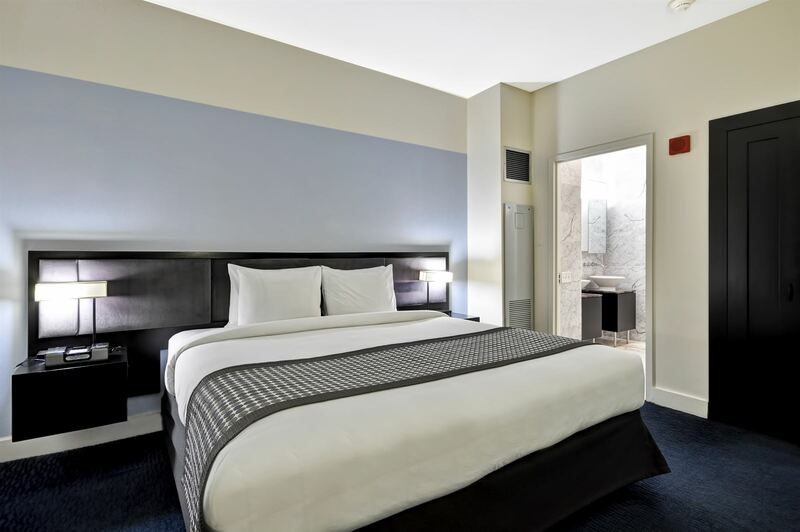 Dylan Hotel NYC has spacious guest rooms waiting for you. Choose the room type that suits you from our selection below. 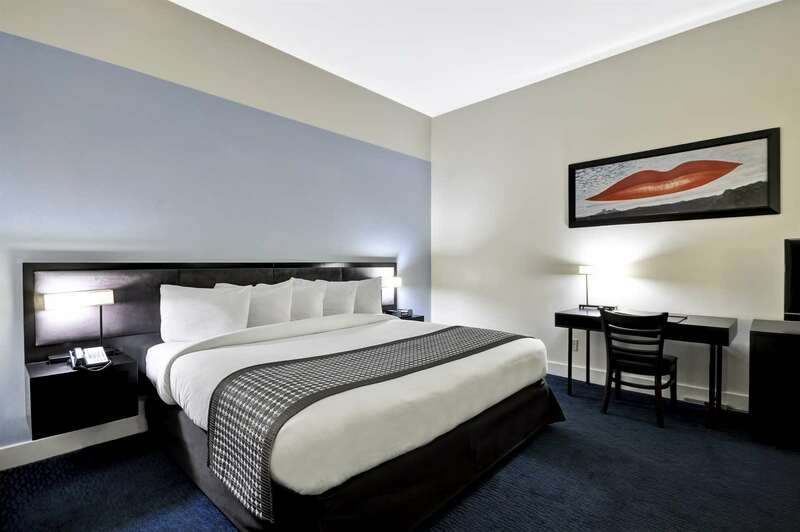 The plush King bed is dressed in high thread count bed linens and luxurious pillows. 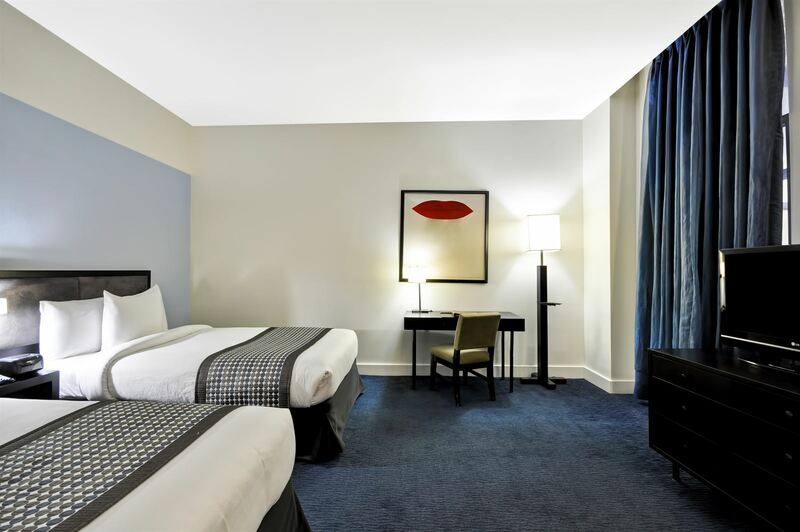 The guest room includes two floating side tables with bedside lamps for extra lighting, an oversized work desk with a high-speed Internet connection, a refrigerator, a digital alarm clock, and handsome walnut furnishings. 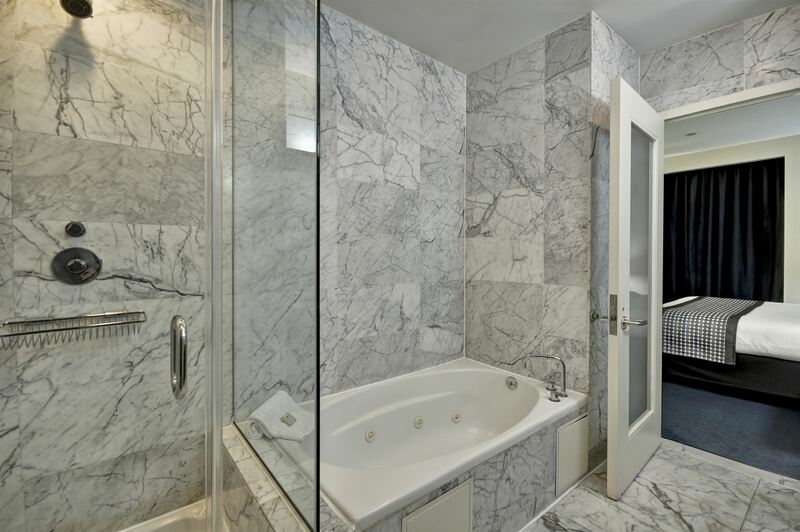 Bathrooms are elegantly appointed with Italian Carrara marble floors and walls, as well as basin bowl-style sinks. A pale blue wall behind the headboard serves as a tranquil accent for the queen-sized bed. 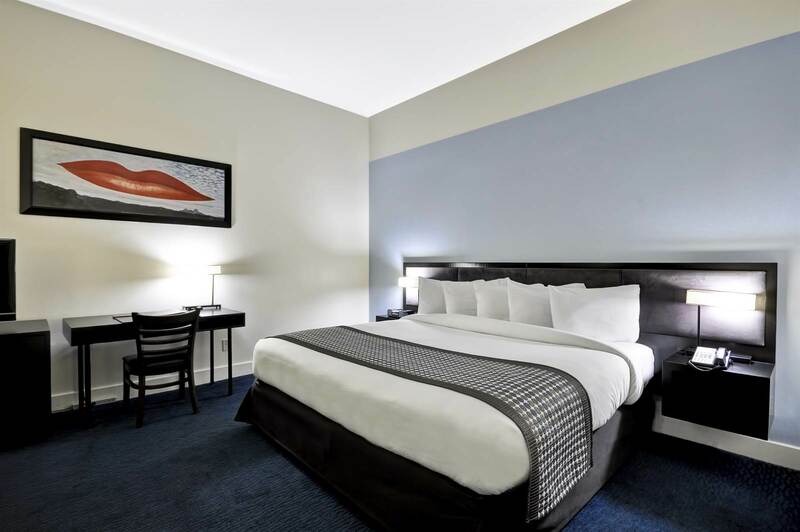 Like the Luxury King room, this guest room also includes two floating side tables with bedside lamps for extra lighting, an oversized work desk with a high-speed Internet connection, a refrigerator, a digital alarm clock, and handsome walnut furnishings. 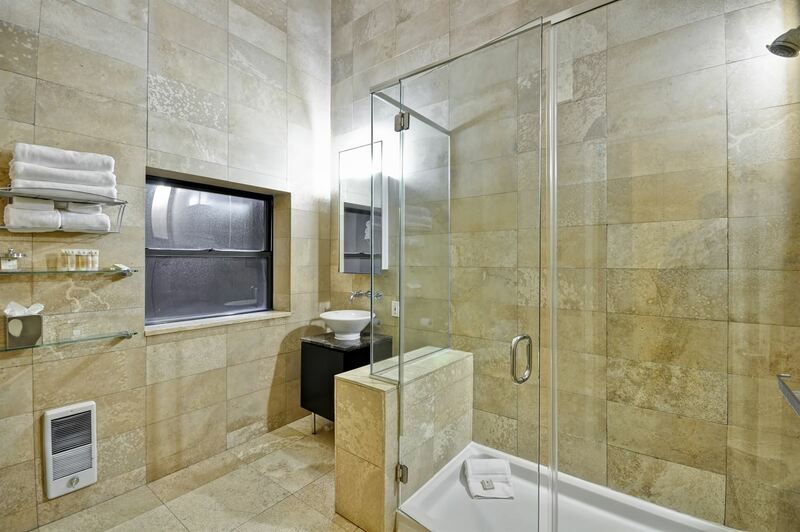 Bathrooms are elegantly appointed with Italian Carrara marble floors and walls, as well as basin bowl-style sinks. Like the Luxury Queen Room, the focal point of this guest room is the pale blue wall behind the headboards. 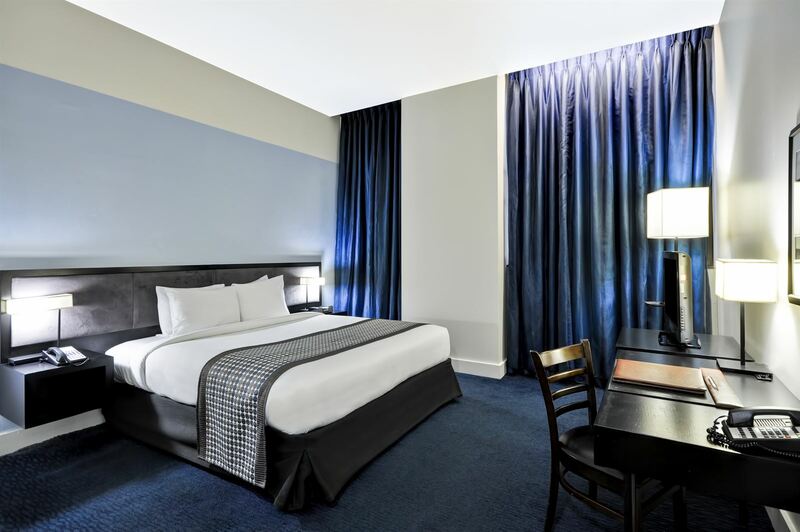 Each room features two full-sized beds accented by floating side tables with bedside lamps for extra lighting, an oversized work desk with a high-speed Internet connection, a refrigerator, a digital alarm clock, and handsome walnut furnishings. 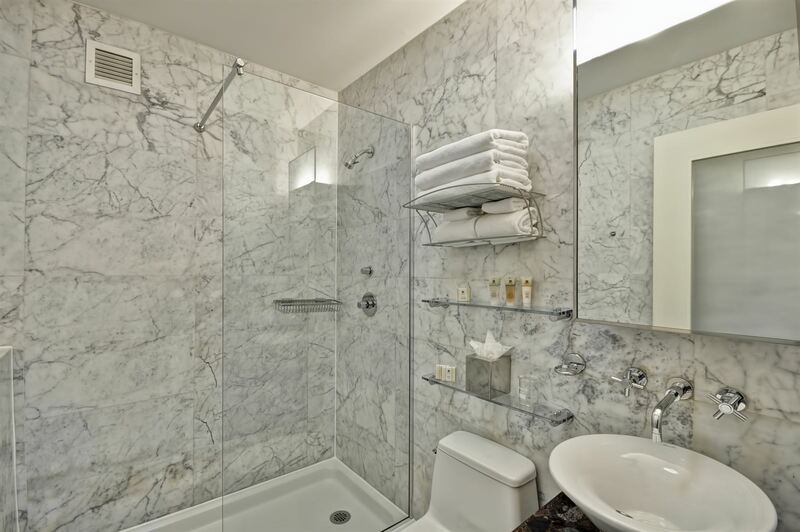 Bathrooms are elegantly appointed with Italian Carrara marble floors and walls, as well as basin bowl-style sinks. 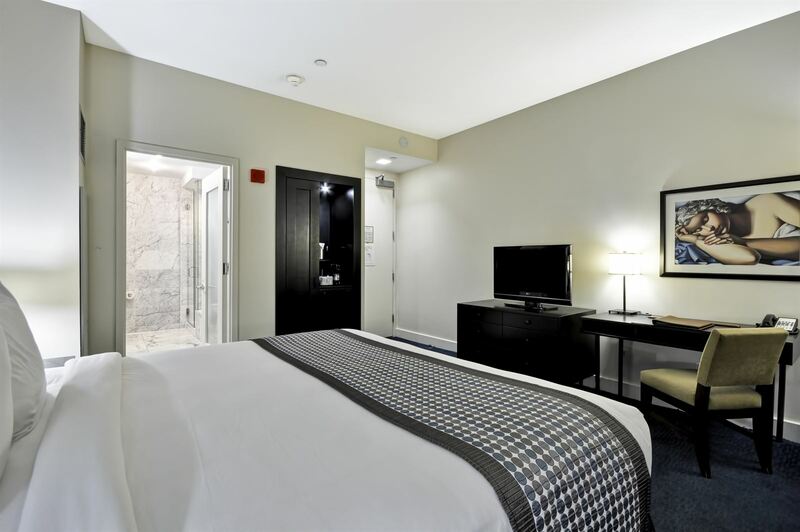 For a more personalized experience, the Executive King Room provides a larger space and extras such as a complimentary welcome amenity selected just for you. 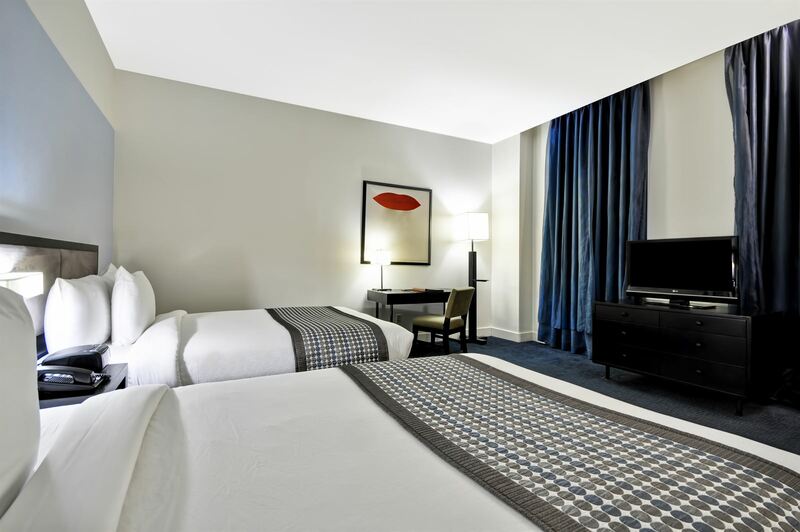 Relax in the plush King Bed and spread out in the spacious bathroom. 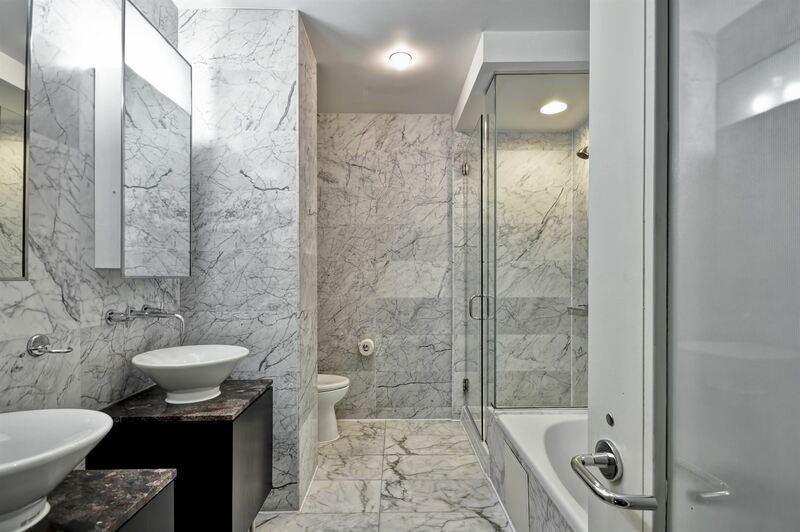 Enjoy additional guest room features such a coffeemaker with gourmet coffee, a refrigerator, a full-length dressing mirror, and an expanded working area with additional seating. 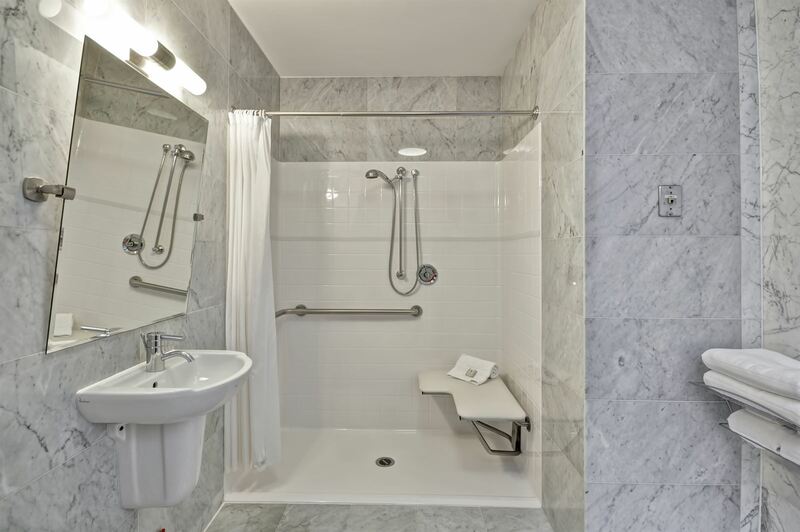 Enjoy all the same amenities as our Luxury King Room as well as an ADA compliant roll in shower to meet your needs.